The saying “a friend in need is a friend indeed” now also holds true for our smartphones. Be it for shopping, calling a cab or doing financial transactions, today we actually look up to these handy gadgets for accomplishing every task and, thanks to the plethora of mobile apps, we never get disappointed. On top of that, mobile app developers are leaving no stone unturned to present us with new and innovative apps that make things even easier for us. Technology is taking big leaps, bringing new trends to the mobile apps that developers are gladly embracing. In the recent years some new features have marked their presence in the mobile apps and are going strong, creating a trend in mobile app development. Cloud technology has become a prominent trend in the mobile app development. These days, people often use multiple devices and cloud technology allows them to sync their apps on all the devices. Developers ensure that the application can be accessed from different devices with same data, features and functions. Enterprises are looking for new technologies to automate business processes, saving time and effort. This has turned the focus of mobile app developers towards business apps that can be used within corporates. A number of enterprises are looking forward to deploy enterprise apps across their network to open up the way to improved business strategies. Enterprise apps featuring security, integration with existing systems and many such functionalities which are crucial for an organization are in vogue today. While performing so many important activities through our smartphones, we also store a lot of sensitive information in them which is leading to the growing concerns of security in the apps. Mobile apps, lacking this feature, are prone to hacking which could lead us to greater troubles. With the evolution of mobile apps, the hackers are also upgrading their techniques. Thus, developing mobile apps with enhanced security is also an emerging trend. If we browse the app store for downloading an app for a specific purpose, we would surely end up having a list of apps serving the purpose. Clearly, there’s a tough competition in the app market and those which provide a great user experience become popular in no time. Mobile analytics are important tools in such a scenario which the developers use to evaluate the user behavior and to develop apps which offer the desired experience to the users. 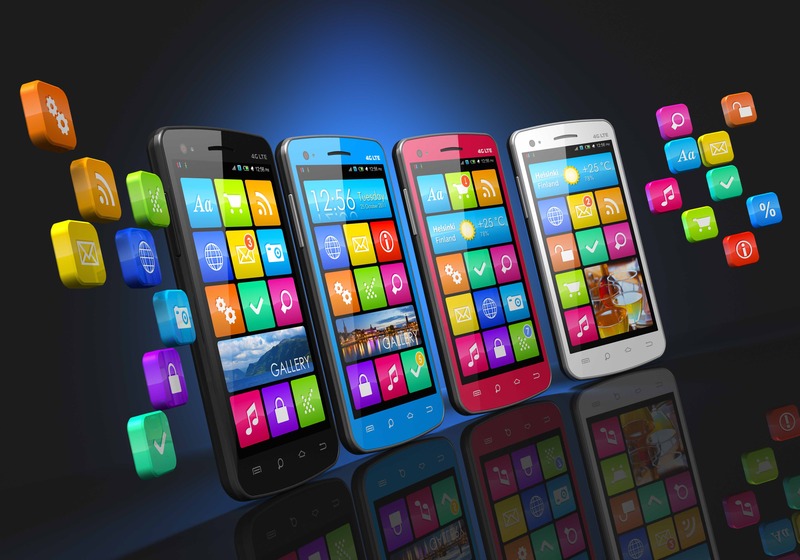 Apps that function perfectly across different operating systems, also known as cross platform mobile apps, are grabbing more attention these days. New smartphones drop in the market every now and then and not all work on the same platform. To ensure that the app works smoothly in all of them and get a larger share of users, developers are focusing more on developing cross platform apps. According to recent surveys, about 19% of commercial sales come from smartphones and tablets. The trend is surely going to continue, with increase in the percentage, and consumers are definitely going to look for m-commerce solutions. Using credit or debit cards for making transactions is very common these days and developing mobile apps that facilitate such transactions, ruling out the need of physical cards or cash, also represents one of the latest trends. Marketing techniques have undergone huge changes and mobile advertisements are no longer limited to banners. Currently, developers are experimenting with a variety of ad formats within apps like images, texts, video ads and others. There is a continuous analysis of user engagement, based on which the companies promote their products and services across the apps. IoT is taking a centre stage with time and the concept is soon going to get integrated in our lives and all the things used on daily basis, including mobile phones. Many specialized industries like automotive, healthcare etc., have begun experimenting with IoT. However, the backend infrastructure of mobile platforms still needs improvement for communicating well with all connected devices. Thus, IoT is going to be the major focus of all mobile app developers in the coming years. Mobile gaming has undergone a major shift from being single player to multiplayer. Multiplayer games have further led to the need of social media integration within the games. Mobile games are becoming cloud driven to allow frequent updates and management of features by the developers.